• Have people listen to you? • Be able to connect with people around you? • Build confidence when communicating? • Lose the nervous feelings when presenting? Presenting for Success is a one-day workshop designed for people experiencing issues with communicating in the workplace. This intensive workshop helps you to understand your communication style and opens your mind to fresh ways of interacting with others and building rapport, as you become influential and develop confidence. Presenting for Success is designed specifically for Executives who want to get ahead, Employers looking to improve employee engagement, Teams who need to communicate better, Sales executives wanting to increase their sales and Individuals who have big aspirations and what to understand themselves better. ✔︎ You’ll learn the techniques of changing your communication to suit your audience. ✔︎ Learn how to present with confidence and overcome nerves. ✔︎ Receive your personalised report on your social skills to help you engage effectively. Presenting for Success gives you the tools to become more aware of your communication style and what you can do to really feel that confidence to speak up and connect. Raj Nathoo is a Business Growth Facilitator & Coach at Keystone Focalpoint Coaching & Advisory. He is driven by wanting to make a positive difference by working with individuals and organisations in their endeavour to succeed and grow. Raj has a multitude of skills and experiences as an entrepreneur, and understands the stresses and indecision faced when trying to grow a business. As a learning and development consultant, he has worked with managers and staff in identifying needs and how they can be incorporated into a strategic learning plan to help grow an organisation. Raj has a passion for working with SME’s that are keen to grow and implement new world thinking and concepts. Adrienne McLean DTM, The Speakers Practice is a Business Development Coach who has a speciality in Presentation Skills. 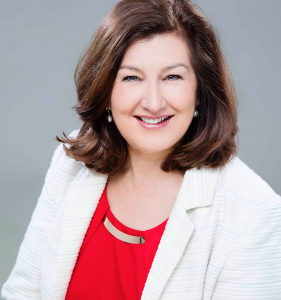 Adrienne has studied presentation skills since 2002, is a SpeakersTrainingCamp® Internationally Accredited Instructor, a Distinguished Toastmaster and specialises in helping Professionals with presentation skills and speaking to camera. Helping Professionals with business development ie marketing themselves and their business is the second arm of Adrienne’s business. Adrienne’s focus is on building professionals confidence to promote themselves, take on marketing & promotion activities to get their message out to their audience. Adrienne’s training involves public speaking, presentation skills, marketing skills, speaking on radio, creating of online video interviews and podcasts and much more.